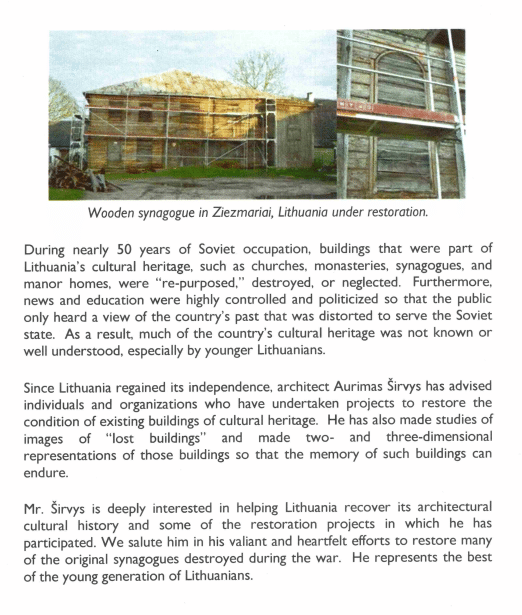 Architecture of Lithuanian Synagogues | Remembering Litvaks, Inc.
Remembering Litvaks, Inc., invited Lithuanian architect Aurimas Širvys to speak to American audiences in March 2017 about his work on projects to restore the condition of surviving structures of synagogues in Lithuania and to create images of lost synagogue buildings. Mr. Širvys is a graduate of the Vilnius Academy of Arts and works for a private architectural firm in Vilna/Vilnius. He also has an educational, non-profit organization called Architektūros paveldo rekonstrukcija (Architectural Heritage Reconstruction). 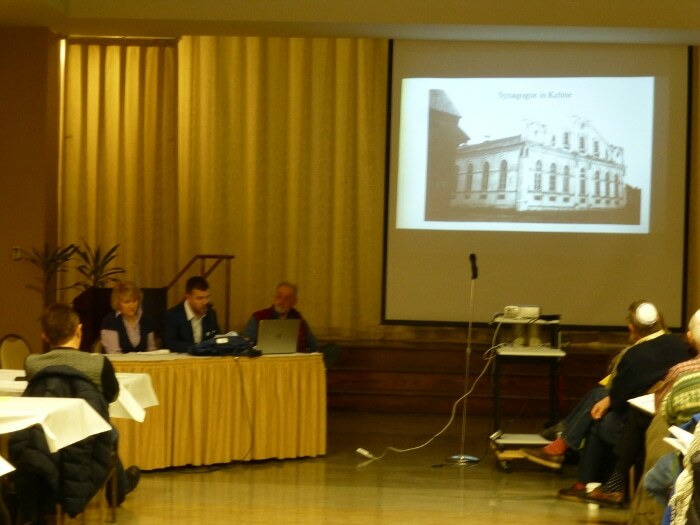 The non-profit is frequently called upon by the Lithuanian Department of Cultural Affairs and regional governments to provide advice on restoring buildings of historical and cultural significance, such as synagogues, churches, manor houses, and town halls. In addition, where a physical building no longer exists, Mr. Širvys will research old construction plans and photographs to create three-dimensional images of such structures. This is how he came to create the images of three lost synagogues that once stood on Rokiškis’ Synagogue Street. His photographic study of the architecture of synagogues in Lithuania was first exhibited in Vilnius in the summer of 2016. 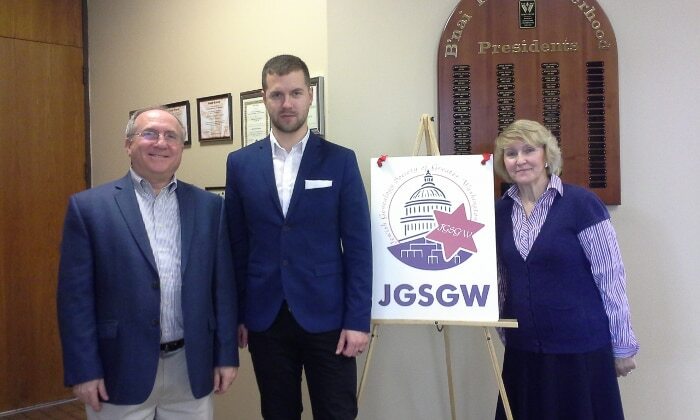 Mr. Širvys’ presentation at the March 5, 2017, meeting of the Jewish Genealogy Society of Greater Washington consisted of these comments and the images in his PowerPoint display. Mr. Širvys reserves all rights to his comments and images. On March 24, 2017, the Embassy Series sponsored a concert by baritone Cantor Jerome Barry and pianist Edvinas Minkštimas at the Lithuanian Embassy in Washington, D.C., in commemoration of Yom HaShoah. The concert program included a tribute to Mr. Širvys’ participation in projects to recover Lithuania’s architectural history, including efforts to restore remaining synagogue structures.